Since its discovery several thousand years ago, salt has been hailed as an exceptional flavor enhancer. One we often crave. One that is unparalleled. When we infused our super premium vodka with choice salt, we weren't going for ordinary. We created a thoughtfully-crafted vodka that would elevate the drinking experience. The result? Saltworks Property. More than an exploration in innovation and taste. A superior vodka that's an absolute feast for the senses. Since its discovery, salt has decidedly impacted commerce and cuisine for its role as a flavor enhancer we often crave. Saltworks PROPERTY uses this age-old ingredient as an innovative and unique component to create a flavor unlike any other. 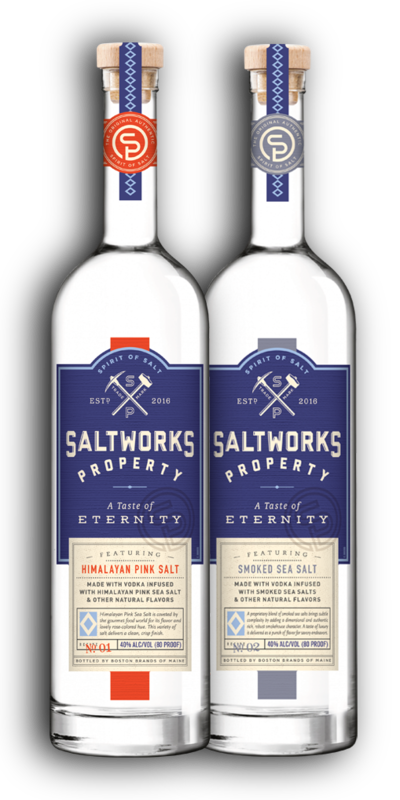 Saltworks Property is a uniquely crafted collection of vodkas that allows you to feel like you are living the epicurean good life. Go ahead, take a sip. We think you’ll be pleasantly surprised with the dimension of flavor that the gourmet salts bring to your favorite cocktail. Whether your preference is for a classic cocktail, on the rocks or chilled from the freezer – all are fitting choices for Saltworks Property.